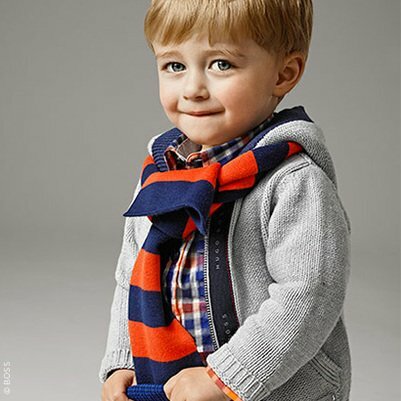 How adorable is this little guy wearing his Boss Grey Cotton & Wool Knitted Cardigan seen here with a Blue and Orange striped scarf and checked button down shirt. 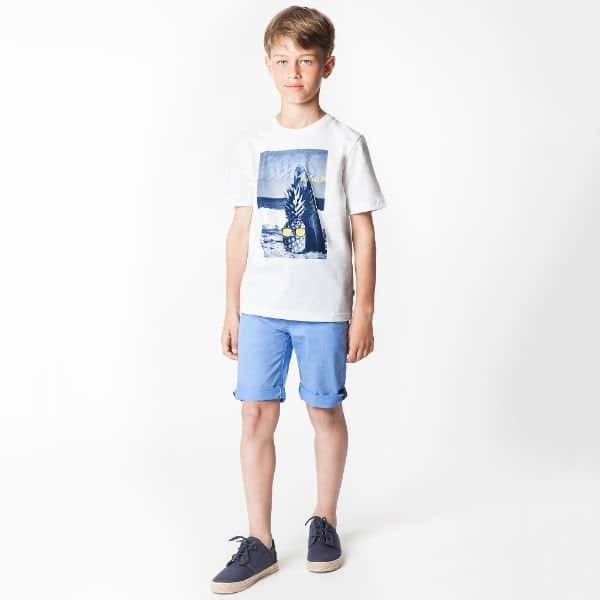 Perfect Mini Me look from the Boss Menswear Collection for this Fall Winter Season. 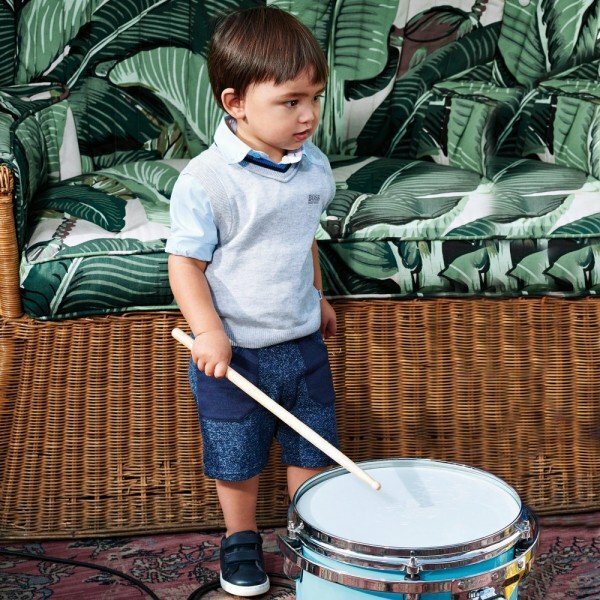 Love this Fall Winter Mini Me look by BOSS for baby boys based on the Hugo Boss Mens collection. This little guy is dressed in style with his Baby Boys Boss Grey Cotton & Wool Knitted Cardigan made from a soft cotton and wool blend – 85% cotton, 15% wool to create a soft knitted feel and is machine washable. BOSS had added a touch of Navy to contrast in the hood where you’ll find a navy blue knitted lining and stripe in the zipper area. Complete the look with a Blue and Orange striped scarf, checked button down shirt, comfy BOSS baby jeans and loafers.